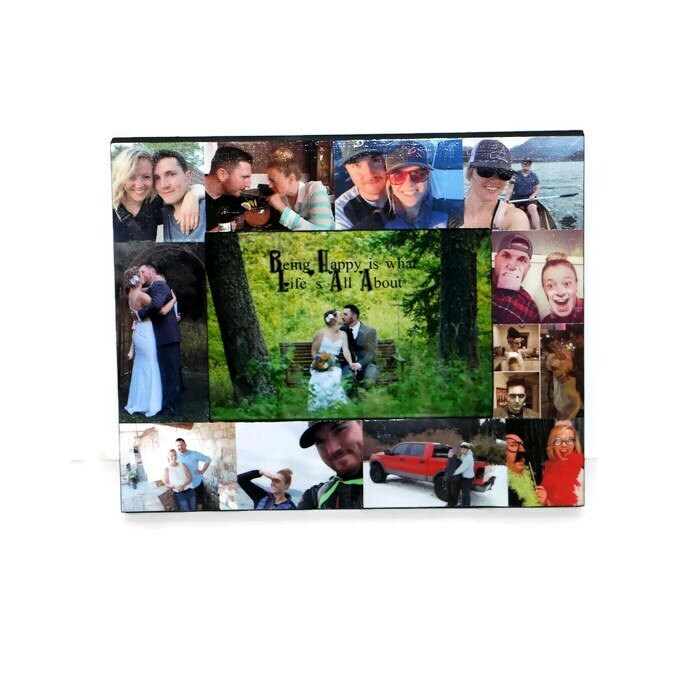 These photo collage frames are perfect for Valentines Day or any occasion. 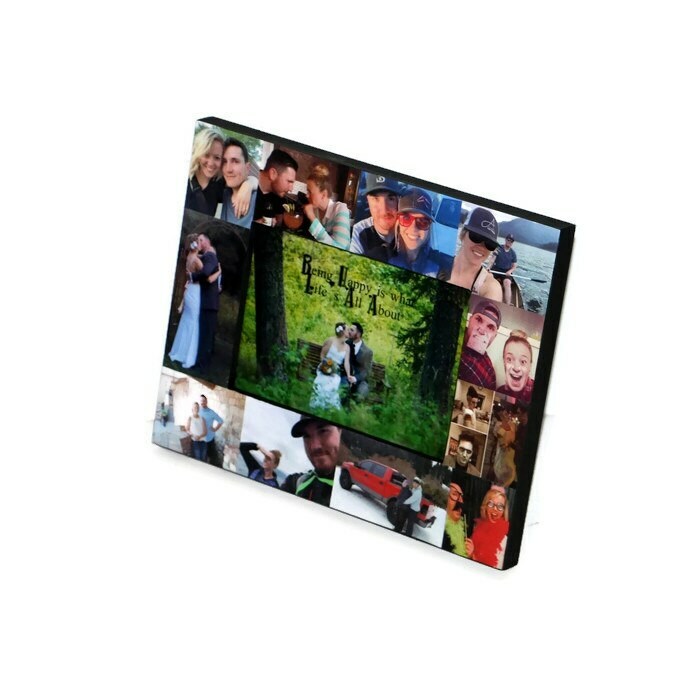 I can personalize them to your liking and I am happy to entertain any ideas. 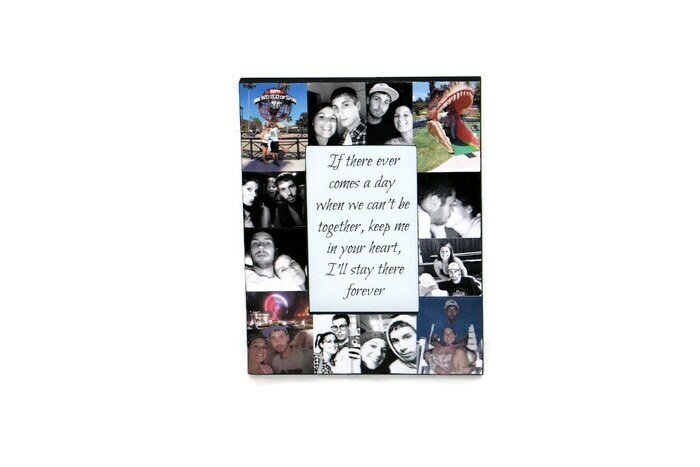 Show your love one how much you mean to them by giving them a frame with photo of your favorite memories and either your favorite photo in the center or your favorite quote or poem. 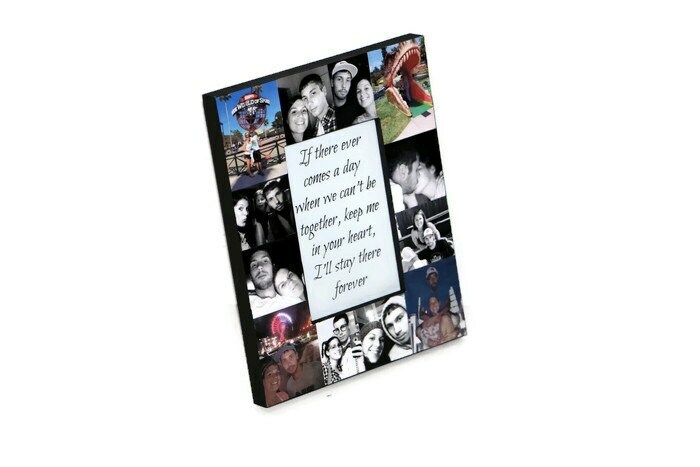 This frame may also act as a card, put what you want to say to them in the middle of the frame instead of a card. 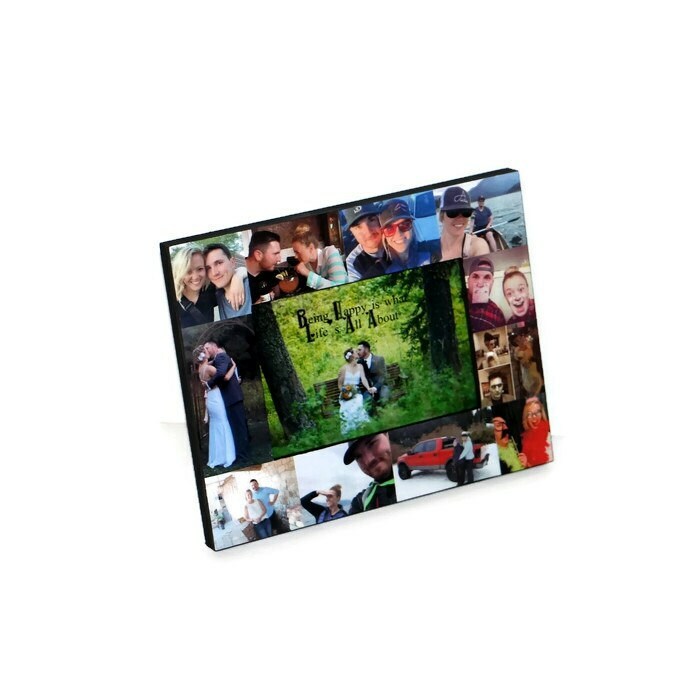 Each frame comes with a stand for setting on a shelf or table and hanging hardware to hang on your wall. Each frame comes with a glass enclosure to protect the center. The center can be changed out in the future if you'd like to put something else in the middle later.